Network biology is a science that deals with the structure, function, regulation (control), design, and application, etc., of various biological networks. It is an interdisciplinary science based on life sciences (biology, ecology, medicine, etc. ), mathematics and computational science (graph theory, network science, differential equations, computation methods, programming, etc. ), systems science (complexity theory, selforganizology, etc. ), and statistics, etc (Zhang WJ. Fundamentals of Network Biology. World Scientific Europe, London, 2018), in which graph theory, statistics, and operational research, etc., are the fundamental sciences of network analysis. Various emerging biological networks, at both micro- and macro- levels, will provide numerous sources for the development of general network theory and methodology and also facilitate the development of theory and methodology of biological networks. Biological network analysis is a fast moving science. Many core scientific issues, for example, ecological structure, co-evolution, co-extinction and biodiversity conservation in ecology, and cancer development and metabolic regulation in health science, etc., are expected to be addressed by network approaches and network analysis. In the view of system dynamics, biological networks are always self-organized systems with emergent, autonomous and adaptive properties. Their dynamics can be represented by agent-based modeling, individual-based modeling and some other methodologies like neural network modeling. Therefore, agent-based modeling, individual-based modeling, self-organization of biological systems, and neural network modeling, etc., fall into the aims and scope of network biology. Network analysis is becoming the core methodology to treat complex biological systems. As the fast development of this area, more and more papers on biological networks are published. At present explosive numbers of quality papers on biological networks are being published each year. The initiation of the society, International Society of Network Biology, will provide a public platform for the publication of these studies. System complexity, self-organization, emergence of biological systems, agent-based modeling, neural network modeling, and other network-based modeling, etc. International Society of Network Biology (ISNB) is a non-government and non-profit scientific society. The ISNB devotes to promote the advancement of network biology. The ISNB always sponsors conferences and releases publications such as Network Biology. Qualified biologists, mathematicians and computational scientists in the world can apply for the membership of the ISNB. A nominal fee is charged for the membership of the ISNB. The ISNB conferences are sponsored and organized by universities and institutes. They are also responsible for the review process of the papers as well as for the final technical program. 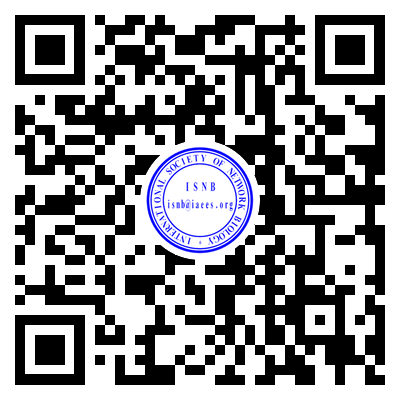 The ISNB releases and distributes publications in particular online journals. The publications are peer-reviewed by experienced scientists worldwide to guarantee high-quality. Every three or five years, the ISNB and ISCE jointly issue an international award to several excellent network biologist(s) and (or) computational ecologist(s) around the world.